An ISIS-inspired teenager attempted to detonate a bomb at a Utah High School on Monday, reports KUTV. 76-10-402: Manufacture, possession, sale, use or attempted use of a weapon of mass destruction prohibited. Police said a homemade explosive device was the item discovered in a backpack at Pine View High School Monday, that forced the evacuation of the school. Police said if the device had detonated, it would have caused significant injury or death. Police have a suspect in custody. A warrant served at the male juvenile’s home and items were found consistent with the materials used to build the device. Police also said the suspect had been researching information and expressing interest in ISIS and promoting the organization. The boy has not been identified but police said he was attending a class at Pine View. 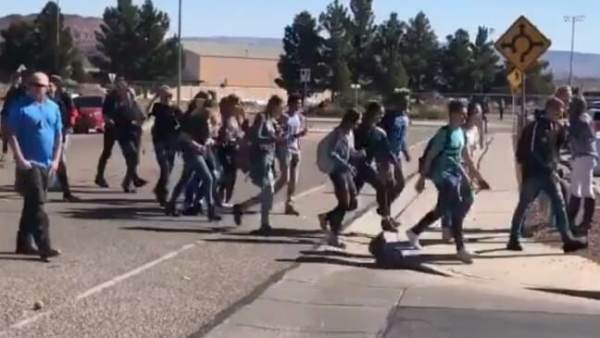 The post SHOCK: ISIS-Inspired Teenager Attempts To Detonate BOMB At Utah High School appeared first on The Gateway Pundit.